Up until a few days before my students used the notebooks, though, I hadn't thought about how to store the scissors, glue sticks, and crayons. Thankfully, I had bought these jungle-themed bins from Target, having no idea how I'd use them (oh, Target dollar section, how I love you so!) 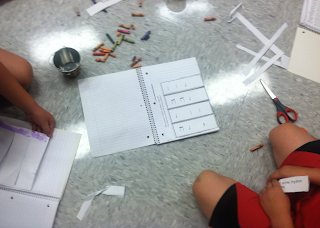 Here is a picture of students working on their notebooks with the bins in sight. You'll also want to think about how many bins you need, and how you'll hand them out. I had students work in small groups of 4-5 and share the scissors, glue sticks, and crayons. Another note, as you can see from the picture above, is that the notebooks can get pretty messy. However, I was really impressed by how quickly students could clean up in a matter of minutes! Maybe they are used to doing this in their grade-level classrooms? 2. It's okay to spend time coloring. I fretted about this a bit as I watched students color for twenty or so minutes. I'm selfish with my time with them, and a few thoughts ran through my mind, like "They could be singing right now!" and "They could be preparing ti-tika right now!" But then I watched how relaxed and happy they were as they colored, and I thought of the articles I'd read about how coloring can relieve stress, and I thought, "Maybe this isn't so bad." The coloring doesn't last that long (it was mostly for the cover page) and aren't kids working ALL THE TIME in school? Is it so bad that they color for a little bit in my room and get to relax? 3. Have extension work available. Some kids work faster than others, something I was reminded of as they worked. My third graders were working on the half note lift-a-flap page from my third grade interactive notebook set, so I quickly created another half note lift-a-flap page with different rhythm patterns, and those ready for students who got done sooner than others (and will soon be adding extra pages to my third and fourth grade interactive notebook sets for that very reason.) I also let those who finished both pages play their patterns on an instrument of their choice. It's good to have options for your early finishers so they are not twiddling their thumbs! 4. Be ready to take student suggestions! 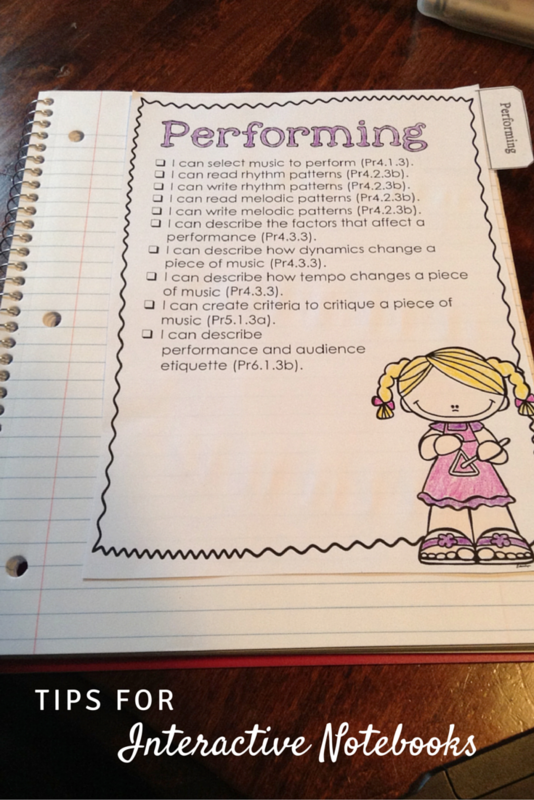 Pretty soon after we began work on these, I had a student suggest that they were able to create their own songs and put them into their notebooks. Um...brilliant! So this is my next project with them. That way, they can glue down their work as they go, and I can easily see their progress! 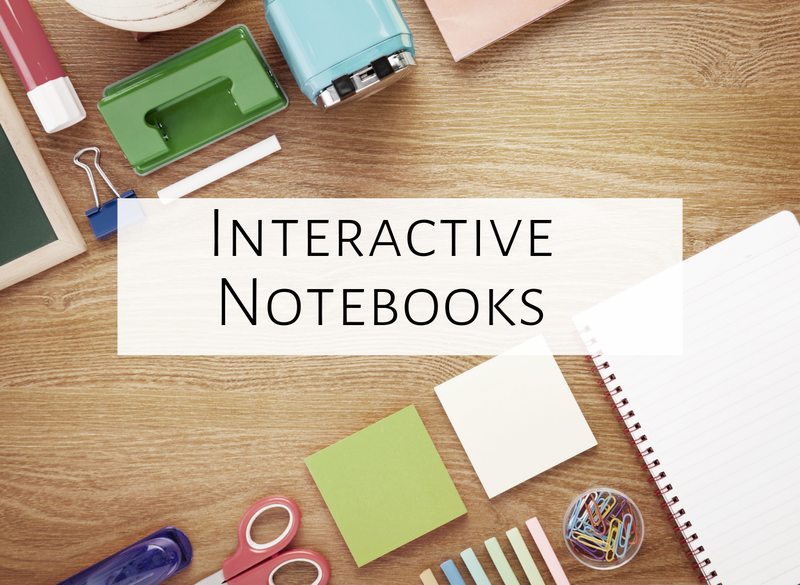 Interactive notebooks are definitely a different kind of learning than my typical lessons. There is no whole-class singing, no games, no activity on the SMART board, etc. BUT they are still a valuable teaching tool. Students are making sense of what they've learned in an interactive and different way. I'm excited to continue this journey! 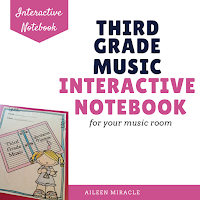 Have you used notebooks in the music room? Feel free to comment below with what has worked for you! I too have taken the plunge into using Interactive notebooks this year. Like you, I was very worried that we weren't spending enough time singing and moving. The activities seem to take a lot of time in our 30 minute class period. Since I only see each class once in a six day cycle we haven't spent a lot of time singing like I think we should. However, by doing these different activities my kids have taught me a few things! When I asked them about doing the activities for our notebooks two comments came up again and again. They LOVE that THEY get to "do stuff" in their words; and that they get to TALK to each other while they are doing it. My first reaction was this is great! Then I soon realized my kids are actually learning more then I could accomplish in whole or small groups. Their ability to take what I have taught and make it clearer for each other is HUGE! The various activities also make it easier for me to help each of them one on one; even in my large classes of 28 to 30 kids. 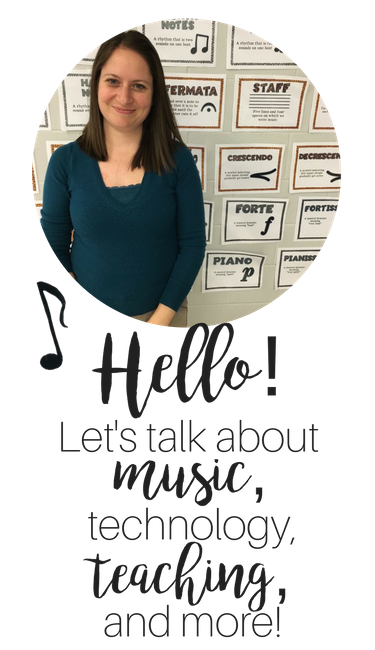 Then when we return to a whole group lesson to sing, my kids have gained a deeper understanding of what is being taught and how to use the information. Initially, I thought doing interactive notebooks was a great way to create portfolios for my kids and show their learning growth; which is part of SLO. I am quickly learning that their interactive notebooks are not only good for me, they give my kids a sense of responsibility and ownership in their own learning. PRICELESS!!!!!! I think you've convinced me to try out some interactive notebooks next semester! I love how you mentioned coloring time. I agree that it's sooo important for them to have time to decompress and process. Kids are so overscheduled in school these days! My 3rd through 6th graders are expected to have a music binder - a 3 ring binder 1-2 inch that contains a pencil pouch with pencils, eraser and highlighter. They also have blank ruled paper in the binder. This is all on their back to school supply list. We sometimes take notes, put in copies of the songs we are doing for them to learn how to mark music, highlight dynamics, etc. as well as hold recorder music, etc. They usually use the same one year to year and keep their papers in it - they'll go back and find notes on what we did the year before when we revisit concepts. There are days we don't use them at all, but it's very handy to not have to pass out paper, pencils and things that take up time - it's all right there for them. 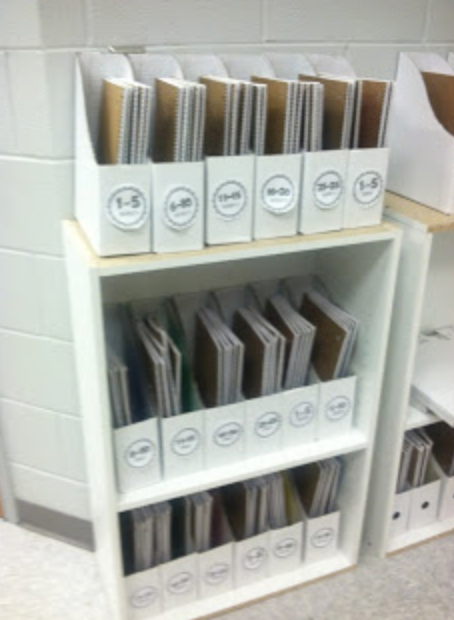 Anything I copy for them: music, worksheets, etc is always 3-hole punched for their binders! 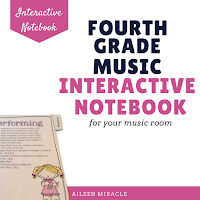 I tried these interactive notebooks with my 4th graders. I really wanted it to work...but after a lot of time, effort, and money, I don't think I will be doing this again. The kids in my class had such a hard time following directions to cut, glue, and color or write, that it was painful for me. I wanted to pull my hair out. My 5th and 6th graders have folders we put any written work or rubrics in all year, and take home at the end of the year, and for my classroom situation, that has worked much better. Something I did try this year that I liked and did work for me was Center/Workstations with my 3rd graders. Anyway, you win some and you lose some, and for me, interactive notebooks was a loser in my classroom.